Google is not the best search engine for privacy. No need to worry though. There are a lot of other options. More and more people are using search engines that provide the maximum amount of privacy. Two of those search engines are StartPage and DuckDuckGo. Their popularity has shot up exponentially in the last couple of years. 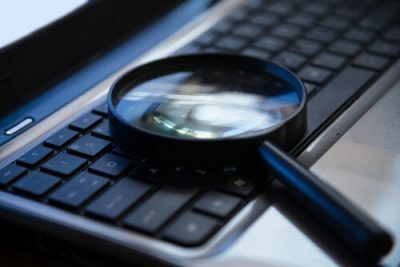 Although it is true that search engines for privacy regularly leverage other “normal” search engines for the purposes of returning search results. So does proxy search work? 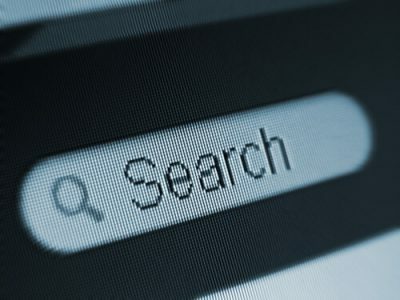 Proxy search requests prevent the likes of Microsoft, Yahoo and/or Google from knowing who actually requested the search. To put it in another way, the mainstream search engines can only see the search query. They can’t see who sent the search query using the search engines for privacy. Search engines for privacy promise their users lots of things. Most of them boil down to a single promise. That promise is that they won’t log the user’s IP address. Search engines for privacy also give their word that they won’t log the user’s searches at any given point. Some may find that a bit too good to sound true. Let’s take a look at some of the other questions that one needs to answer in order to truly understand how search engines for privacy really work. After that, we will list the best search engines for privacy that you can use right now. Why Would Anyone Want To Use Privacy Search Engines? There are so many reasons for doing so that listing them here will take an hour for readers to go through. They spy on their users. They don’t spy because they are evil though. All major search engines have to spy because that is the business model that they work with. If they can’t learn the maximum amount of what is to learn about any given user, they can’t sustain their business. Major search engines survive by delivering highly personalized and targeted advertisements to the users directly via the user’s web browser window. The reason why we say that search engines aren’t evil though is that some of them have realized that they can’t just go around playing with their user’s private data without any restrictions. Google gives users plenty of options via the Dashboard menu to tweak their privacy settings. But Google has to survive as well and that’s why it can’t stop tracking users. It is either “tracking user” or death as far as Google is concerned. Back in 2016, the company finally managed to drop its self-imposed moratorium on tracking users no only via their search queries but also their email messages. In other words, now Google not only tracks what you search on the internet but it also scans your email messages in order to deliver to you even more targeted advertisements. Some would say this is too much spying. Google would say that they are just “improving” their services. Now, Google collects and stores a lot of information every single time a user goes to its search engine services and searches for something. This is just a cookie that Google deposited directly into the user’s web browser cookie folder. It helps the company to uniquely identify the user’s computer machine. Google, and all other search engines, takes the help of the Cookie ID in order to trace any given search query back right to the source. That is, the computer of the user who made the query. After collecting such information, Google allows the transmission of all that information to the web page that the user has requested. It also delivers that information to other owners. Specifically, the ones who own third-party advertising companies who display banners on the web page that the user visits. 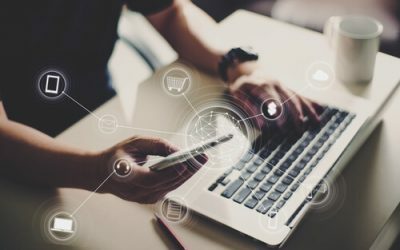 As the user gets busy while surfing the world of the internet, advertising companies collect as much information as they can in order to build up a very detailed profile of the user. And since they have so much information on any given user, sometimes the profile as enough details to embarrass someone to a great extent. Yahoo! along with Microsoft and Google do know a ton of things on any given user. So what is stopping them from sharing that information with the likes of the NSA and the police department? No one can guarantee if Google doesn’t do that already and that too on a regular basis. Google also releases these Transparency Reports from time to time detailing the number of various user data requests that it has received. A couple of years ago, many media outlets reported that they had found evidence which showed Yahoo working hand in glove with organizations such as the NSA in order to betray the company’s users data to the top US intelligence service. That’s isn’t very nice or is it? However, that’s only one of the problems with mainstream search engines. Search engines that don’t track users are a blessing. The greatest benefit that these no-tracking search engines offer to users is that it prevents the user from having to experience the filter bubble effect. Mainstream search engines profile users by studying the user’s past search terms. They also keep a track of the things that the user has LIKED on various social media platforms. Again, in order to return search results which are more likely to peak the user’s interest. The problem with such an arrangement is that these search results tend to always agree with the user’s specific point of view. In other words, such techniques lock the user into, what most call, a filter bubble. When under the influence of a filter bubble the user doesn’t get to come across alternative and/or different point of views. The user, for the most part, only sees opinions that tend to agree with him/her. Search engines like Google downgrade results which they think would not match the user’s worldview. The other downside of filter bubble is that it denies the user of any kind of access to much richer content and multiplicity of natural human input. Filter bubble can also present other dangerous problems. Problems such as its inclination to confirm prejudices. Some have also blamed filter bubbles for keeping users away from thinking about the “bigger picture”. With that said, let’s take a look at the top search engines for privacy at the moment. DuckDuckGo is a search engine that sounds just about interesting enough to stick in your head. According to the company, this is the only search engine that vows to not track the user. The founder and the CEO of DuckDuckGo, Gabriel Weinberg, stated about two years ago that even if law enforcement agencies such as the FBI came to DuckDuckGo to ask for data, they would have nothing in their storage facilities which would allow their agents to tie something back to the user. As mentioned at the top as well, the one apparent problem with DuckDuckGo is that it is a company that is based in the United States of America. Among the search engines for privacy, DuckDuckGo is miles ahead in terms of its popularity. There isn’t another search engine for privacy out there with as high a profile as DuckDuckGo. DuckDuckGo, for the most part, sources its searches through Yahoo. Perhaps this is also a good time to mention that DuckDuckGo had had a really strong relationship with the likes of Yahoo in the past as well. Why would this cause worry to anyone? For one reason, various media reports have revealed Yahoo’s ties with the likes of the NSA. Of course, DuckDuckGo has always maintained that the company promises to not share or collect any type of personal information. If we’re talking about clean user interfaces then DuckDuckGo is it. The overall theme is white, grey and red. DuckDuckGo has a cute looking logo which is attractive and kind of fun to just look at. With that said, aesthetics of any given website is more or less a subjective matter and hence no one opinion can rule over all others. But generally speaking, DuckDuckGo’s styling is good. As the user types in any query, DuckDuckGo, just like Google, starts to offer the user search suggestions. This is great as it usually leads the user to the term the user wanted to search much more quickly. DuckDuckGo is very fast when it comes to search returns. And this holds true for video as well as image search results. As far as the presentation of the whole service is concerned, it is top notch and more importantly, clear. Almost all the filters that DuckDuckGo displays are adaptive. Most of the time DuckDuckGo will take the pain of showing the user his/her results under a specific filter category that DuckDuckGo feels appropriately covers the user’s search terms. Users have the choice of selecting different filters. DuckDuckGo will have a look at the selected filter and will then continue to display Wikipedia, video and/or image previews in a small box that is located right next to the search results or at the top of the webpage. DuckDuckGo isn’t without ads though. It sometimes does show ads. But they appear, mostly, to the right of the user’s search results. Moreover, DuckDuckGo differentiates itself from the likes of Google by clearly marking advertisement as discreetly as possible. DuckDuckGo also makes sure to never mix the ad search results with organic or pure search results. This search engine for privacy can also filter image results. But those filters are fairly limited in nature. For a general search term, there are many more filters. DuckDuckGo displays video search results with the help of video thumbnail preview. Users have the option of playing YouTube videos directly from the DuckDuckGo search engine website. When users do try to play the video, DuckDuckGo does give them a warning. The warning alerts the user to a simple fact that if they view the video, Google along with YouTube will track them. Users also have the option of filtering results by country as well as date. Our experience tells us that while DuckDuckGo can’t match the accuracy of the search results that Google shows the user, but it does return good quality results. In fact, in many cases, we have found that DuckDuckGo results are much more natural because SEO experts don’t put much work into optimizing their content for DuckDuckGo. As mentioned just now, there are many people who think that Google returns better results than DuckDuckGo. This is where we would like to mention another DuckDuckGo feature which is “bangs”. For now, we would like to reiterate that DuckDuckGo can sometimes show both discrete ads as well as contextual filter suggestions where the search engine provides links to different products on Amazon that the user might have an interest in. As we have alluded to previously, DuckDuckGo does show some ads. These usually take up a bit of space on the right-hand side of the pure search results. DuckDuckGo sources its ads from Yahoo. Yahoo itself has formed a search alliance with Microsoft. Whenever an advertising company signs up for an account with Bing Ads, the default settings ensure that the company’s ads enter the rotation schedule of all of Microsoft Bing’s distribution channels automatically. One of those distribution channels is DuckDuckGo. That’s not the important part though. The important part here is that DuckDuckGo shows users untargeted ads. In other words, DuckDuckGo bases these advertisements on the user’s search terms. We have already noted the fact that DuckDuckGo clearly marks these results as ads. Moreover, it displays them in a separate space, away from the natural search results. DuckDuckGo also happens to be a part of eBay and Amazon affiliate programs. In simpler terms, if the user visits eBay and/or Amazon via DuckDuckGo and then subsequently purchases a product, then DuckDuckGo would receive a commission, albeit a small one. DuckDuckGo makes sure that it does not give out information that is personally identifiable. Does this affiliate program affect search rankings? DuckDuckGo says it does not influence them at all. DuckDuckGo has stated many times that it does not share or collect any personal information. It does add an affiliate code to various eCommerce sites such as eBay and Amazon. But this affiliate code doesn’t really include any information that can personally identify an individual. We have already mentioned the fact that DuckDuckGo is based in the United States of America. And hence it does come under US law. The government can pressurize DuckDuckGo to do things it may not want to do otherwise. Then there are laws such as the Patriot Act and FISA. What do these laws mean for DuckDuckGo operations? 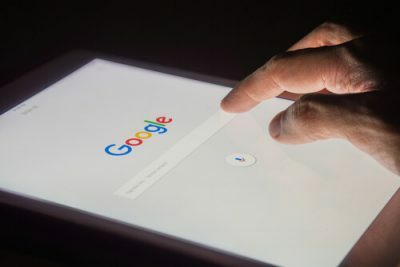 These laws mean that the United States government has the legal authority to mandate that search engines such as DuckDuckGo must start to log their users’ online activities. Moreover, the US government can also prevent search engines for privacy such as DuckDuckGo from even alerting their users about such an arrangement via various Gag orders. The other thing users need to know about DuckDuckGo is that it makes use of Amazon servers to do its business. Amazon, as we all know, is also a United States company and comes under the authority of the US government. As far as the security report from Qualys SSL labs is concerned, DuckDuckGo manages to score an A+. We’ll talk more about recent updates to DuckDuckGo as a search engine service at the end of this guide. We have already mentioned a couple of features. But DuckDuckGo is more than just smart contextual filters and discrete non-targeted ads. Perhaps the best feature that DuckDuckGo offers to its users is Bangs. 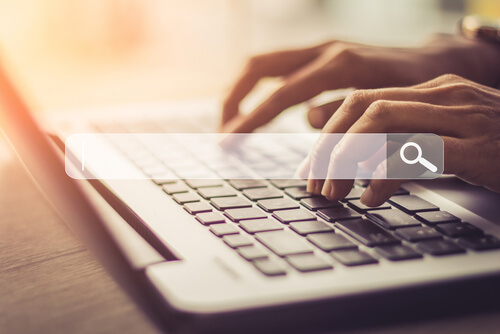 Bangs are just “!” characters which users may put at the end of their search query followed by a website address in order to search the other website easily and quickly. If the user types a search string and then after that types !guk then DuckDuckgo will return search results from Google UK. In another instance, if the user types !a after one of his/her search terms then DuckDuckGo will search the entire Amazon store for the user. Readers need to note here that bangs only take the user to the website that the bang in question is related to. What about the search terms themselves? However, if the user has already signed into Amazon or Google, to take an example, then it is safe to assume that Google/Amazon would know who the user is. After knowing that, they would continue to do what they do best. Our number one recommendation is DuckDuckGo as far as search engines for privacy go. And is the most user-friendly of all search engines for privacy. Both these qualities make sure that users have a good time using DuckDuckGo for all their online needs. There will always be people who will continue to prefer Google over a Yahoo-DuckDuckGo partnership. Readers need to remember that DuckDuckGo still uses Yahoo’s search results, so Google indeed has the lead over DuckDuckGo when it comes to the depth of its search engine and search engine results. DuckDuckGo really kills the competition with its Bangs feature. We know of some users who only use DuckDuckGo because of its Bangs feature even if they primarily use Google as their preferred search engine. Just keep in mind that while you are using the Bangs feature, always sign out from your official Google account. Only after that should you go ahead and use the Bangs feature to search via Google. By now, no one should find it shocking why DuckDuckGo is the number one search engine for privacy. Its popularity alone shows that this is a serious search engine with a serious focus on user privacy. The fact that DuckDuckGo is based in the United States of America is the only negative of using DuckDuckGo as of now. So readers should exercise some caution when searching for sensitive topics via DuckDuckGo. Has some servers that it operates from the United States. Users have the choice of making use of non-US servers. Lxquick and Startpage both belong to the same company in the sense that a single company runs both of these services. A while back, lxquick used to return search results from multiple other search engines apart from Google. On the other hand, Startpage only returned Google search results. Two years ago that changed. The company behind lxquick and StartPage combined the two services to form a single search engine. Now, both services return search results identical to Google. There was a time when the company behind lxquick continued to offer the lxquick service even though it did not actively support it. In other words, the company behind Startpage no longer supports the older version of the online search service. About two years ago, StartPage also removed all Yahoo results from its older (or legacy) online search engine. This also happened about two years ago when news broke that Yahoo had actually assisted NSA to spy on all its users. Fast forward to 2018 and now we have Startpage.com and lxquick.eu pointing towards the same page. This search engine for privacy sports a cloudy blue sky. That is the default theme. And we are aware of the fact that many users may not like this theme. Luckily, Startpage.com offers users the ability to change the theme colors from the settings menu. From an overall perspective, there isn’t a whole lot wrong with the homepage of Startpage. But for some reason, there are users who prefer the red-themed DuckDuckGo rather than the blue-themed StartPage. StartPage offers much simpler search results than DuckDuckGo. It doesn’t offer any suggestions as the user is typing. On the flip side, this allows StartPage to return research results much faster than some of the other search engines around. Of course, DuckDuckGo is still faster than StartPage in terms of page load speed. Users have to remember that sometimes the answer to the question “which is the fastest” is very much a subjective debate. Startpage.com does a good job of presenting its results in a clear manner. The only downside here is that these are the only three categories available. There is also an advanced online search option for users. This option enables users to specify multiple search parameters. The advanced search option also enables users to filter search results by time. StartPage.com displays advertisements right above its search results. Unlike Google, StartPage.com does mark its advertisements as advertisements pretty clearly. And just like DuckDuckGo, it doesn’t just mix its advertisements search results with the natural search results. As far as the Images category goes, StartPage.com doesn’t offer any additional filters. Its video results page only shows the preview of the video in the form of an image. StartPage allows users to play content from streaming sites such as YouTube. 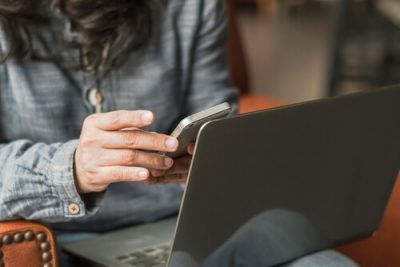 However, users should remain vigilant about the fact that once they connect to YouTube to watch a video their connection is no longer private. StartPage.com is a bit different from DuckDuckGo as it pulls its search results directly from the world’s most popular search engine Google. Hence, its search results are almost as good as Google’s. However, this also means another thing. Any information which Google has decided to censor also gets censored in StartPage.com’s search results. The other thing we would like to mention about StartPage.com is that its advertisement space is much more prominent than DuckDuckGo’s advertising space. Just like DuckDuckGo, StartPage.com also has the capability to proxy web pages. Just like DuckDuckGo and probably every other search engine on the planet including Google.com, StartPage.com generates the majority of its revenue from affiliate links and advertisements. But unlike Google, it doesn’t deliver targeted advertisements. And does not mix advertisement results with the organic search results. As mentioned at the top as well, StartPage.com marks its advertisements results much more prominently than DuckDuckGo. StartPage is a company that is based in the Netherlands. And the Netherlands, when compared to the United States of America, has stronger privacy laws. Startpage.com has servers which are collocated in the United States of America. And hence it is responsible for controlling them as well. StartPage.com representatives will tell you that the company’s servers are very much secured against US government’s snooping attempts. However, for some, that may not be enough. For such users, StartPage.com provides users with the option of using exclusively non-US servers. There is also an option of using only non-EU servers. Users search queries can proxy returned web pages. We’ll talk more about this feature a bit later in this guide. Of all the other search engines for privacy, StartPage is perhaps the only one that independent researchers have audited. As far as the security report from Qualys SSL labs is concerned, StartPage.com has a rating of A+. Well, its best feature is the ability to proxy any given connection. Users don’t have to visit any site directly. For those who enable this option, Startpage.com would run one of its proxy servers and that proxy server would sit nicely between the website that the user wants to access and the user’s computer machine. It blocks the accessed website from having any knowledge about the user’s real IP address. This pretty much works like a VPN service. But of course, a VPN service is the complete privacy solution, unlike a search engine that offers just a proxy feature. With that said, it is true that once a user has managed to block a website from knowing his/her IP address, then the website can’t do anything to track the user across the web or use other kinds of fingerprinting technology for the purposes of tracking the user after identifying him/her. There is a big downside as well. Since the user is connected to the website via a proxy service, the connection is fairly slow. By that we mean, that pages connected to via the proxy feature would take significantly more time to load. Well, because the user has enabled the proxy feature, StartPage first has to retrieve the webpage’s content and then redisplay the webpage’s content for the user. Even with that fault, we are inclined to think that this is a fantastic feature. Because it helps the user to improve his/her online privacy. The downside is something that most users would be willing to put up with if they know it is enhancing their privacy. Moreover, users can just switch off the feature when they aren’t doing something sensitive or personal in nature. DuckDuckGo is more user-friendly and pretty than StartPage. But StartPage is based in the Netherlands. That gives it a huge advantage over DuckDuckGo which is based in the US. Moreover, StartPage doesn’t have any partnership with Yahoo. And since it is free from Yahoo and the US, it would have more resilience against NSA spying. Of course, users will have to make sure that they specify that in the settings menu by only connecting to non-US servers. DuckDuckGo, Startpage.com’s US rival, doesn’t offer that option. Moreover, StartPage.com’s feature of connecting to web pages behind a proxy also gives it the leverage over other search engines for privacy. SearX has managed to gain a lot of traction within the online security community. It is still less well-known than DuckDuckGo and StartPage.com. But it is a legitimate option for people looking for more online privacy while searching. SearX is completely open source. Not only that, it is also pretty easy to set up. Users willing to input a bit of time and effort can run their own instance of SearX for more privacy. Along with that, there is also an official instance of SearX. But that isn’t great for privacy. Users also have the option of using one of the multiple public SearX instances that volunteers run all over the world. However, SearX is not about that. SearX is about the user running his/her own search engine instance. This feature actually makes SearX the only known online metasearch engine that offers 100 percent zero-logs. No one is keeping logs on the user if the user knows how to run an instance of SearX. Again, it can’t compete with DuckDuckGo as far as aesthetics are concerned. But SearX doesn’t have to. Because it is not aiming to look beautiful. And that is to provide maximum functionality. But it is very useful. With that said, SearX sports a clean layout. Which is good because users can see the content displayed clearly. As mentioned above as well, users have the option of hosting custom SearX instances. But don’t expect them to look very different. Most of them feel and look pretty much similar to the SearX official template. The default SearX settings ensure that it leverages search results from a multiple number of online search engines. If users click on the preferences button then can actually tweak the settings to adjust the search engines that SearX utilizes to display search results. SearX does not show any suggestions as the user is typing up his/her search query. However, it does display suggestions once the search returns are displayed. They are located on the right-hand side of the screen. Users can filter searches with the help of several categories. Map. SearX makes use of OpenStreetMap for this filter option. Users can also filter results by time. Unlike Google, DuckDuckGo and Startpage.com, SearX does not show users any kind of ads. It tries to populate the search results page by showing Wikipedia entries in the right-hand corner of the search results page. As far as the Images category goes, SearX doesn’t have a sub-filter for this category. It does show a preview of the image when the user clicks on it. SearX displays the Video search results in the form of thumbnail previews. If the user clicks on a given video, SearX takes the user to the website that is hosting the video. In other words, if it is a YouTube video that the user wants to watch then SearX would take the user to YouTube in order to start playing the video. A similar thing would happen if the user tried to view a Vimeo video. Users also get the option of downloading their search results in the form of an RSS file, .json, and .csv. SearX has a similar feature to Startpage where it allows users to view web pages with the help of a proxy service. Users have to keep in mind that such a feature would likely break several websites. But viewing a website while proxied can provide an extremely high level of online privacy. But what about the actual quality of the search engine results? Well, that would depend on the search engine options that the user would select from the Preferences menu. 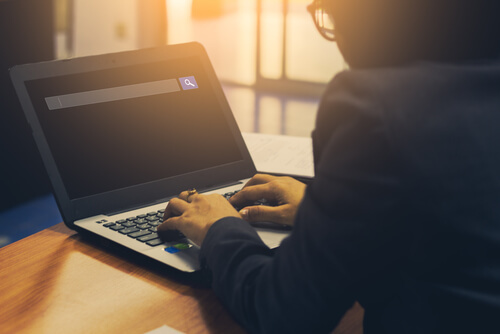 The official and default settings make use of Wikipedia, Bing, and Google in addition to a host of lesser-known online but first-rate search engines. Hence, the default settings provide users with an excellent quality of search results. How Does SearX Generate Revenue? Again, SearX is completely open source. A decent number of volunteers run the project. If we’re talking about the official SearX instance then there are no advertisements. And there are no affiliate marketing links either. Moreover, since SearX is one hundred percent open source, individual volunteers or operators have the freedom to bring in their own proprietary revenue generation models to public SearX instances. With that said, our research shows that there are not many SearX instances which are complete affiliate free or ad-free. As mentioned before, a user could come across any number of public SearX instances. Hence, there is no sure fire way to know if any of those are involved in logging user information and search queries. We would also like to tell our readers that the official instance of SearX may also log user information. What we mean to say is that, there is no way to ensure that your privacy in 100 percent guaranteed. However, readers should also know that there is no method of ensuring that the likes of StartPage, DuckDuckGo or any other online search engine for privacy isn’t logging the user’s search queries either. Users who are really serious about their privacy should set aside a bit of time and then set up their own version of a SearX instance. As a matter of fact, it is far better for the user to run SearX instance on one of his/her own servers. Because that is the only way to ensure privacy and the fact that no one is logging the user’s searches and other information. A SearX instance on a server that the user directly controls provides perfect privacy and anonymity. The fact that users can set up their own instances of SearX makes SearX (a self-hosted one that is) the most private and secure online search engine in the world by a country mile. Users who want to view documentation related to installing one’s own instance of SearX should click here. Now we’ll come to the part that is more related to the casual online user. If the user is not interested in learning all the things that are required to set up a SearX instance, then public SearX instances aren’t exactly bad options either. They are not likely to log user searches. Moreover, these public instances of SearX are likely to stay under the radar of intelligence agencies such as the NSA and the rest. No one would be monitoring these public SearX instances. Other services that we have mentioned so far cannot say the same about their offerings. Again, we would like the reader to remember that there is no guarantee if someone or some organization is behind a given public SearX instance, although the chances of that are minimal. The security report from Qualys SSL labs gives searx.me (which is the official SearX instance) an A. Users should know that each given instance of SearX, either private or public, would have a different rating in this regard. As mentioned before, there are zero ads on the official SearX instance and users can see possible search suggestions on the right-hand side of the listings. Just like with StartPage.com, users can proxy various web pages as well. However, users who want to take advantage of this feature will have to live with the fact that it might break some websites that they visit on a regular basis. A self-hosted open source instance of SearX is the absolute best method to ensure privacy. And this holds true even for the most tech-savvy and privacy-conscious of people on the internet. To put it in another way, nothing beats having certain knowledge that no one is logging the user’s searches. This also puts SearX in a league of its own. Casual internet consumers may find it surprising the ease with which they can use this software even on public instances. Our research suggests that public instances are less likely to log the user’s searches. They are also likely to become targets of US government spying, especially when compared to services such as Disconnect, StartPage, and DuckDuckGo. Of course, we have no way to prove that assertion. It is based in the US so users have to think about organizations such as the NSA. Makes use of Amazon servers, so users (again) have to think about the NSA and the CIA among other organizations. Disconnect is a very hard service to review and recommend. Not because it is worthless. But because it is based in the US. Even with that, Disconnect has managed to make quite a name for its services. By offering excellent privacy-first and open source web browser extensions. The most famous of these extensions is Disconnect Search. It is an open source add-on for Chrome and Firefox. There is also an Android application available for users to use on their smartphone devices but the app itself is not open source. Most of the users who have installed Disconnect have done so with the help of the company’s web browser add-on. As mentioned just now, the name of the browser is Disconnect Search. It enables users to use the Disconnect Search webpage in order to search the web. Disconnect is much more than a privacy add-on. It also markets several other products. Products such as a premium VPN product and a decent online security application. All of these applications come built-in with Disconnect Search’s functionality. For the majority of the cases, users have to use the browser extension and/or addon in order to do actual searching. Users also have the option of selecting from three search engines. DuckDuckGo is the default search engine though. We have discussed multiple metasearch engines which are focused on privacy in this guide. But Disconnect is unlike any of them. It is different because it doesn’t really display any search returns using its official website. What it does is that it routes the results of the search via its own servers. This enables Disconnect to hide the origin of those results and the queries related to them. Then, Disconnect opens these search results in the given search engine’s own webpage. Disconnect also has a feature which allows it to display results in Incognito mode. How Does Disconnect Generate Revenue? While the Disconnect Search web browser extension is free for use, the company also has some Premium products. As mentioned above, Disconnect does a decent job of hiding the user’s IP address when the user is making all the searches. After that, it sends the user directly to the user’s pre-selected default search engine. It means that Disconnect doesn’t have to rely on any affiliate marketing links no advertising to do its work and provide a search service to users. Some users a more NSA-phobic than others. Disconnect isn’t a good choice for them. Because Disconnect, as a company, operates out of the US. Of course, Disconnect add-on and/or browser extension is completely open source. But there is no way to know if Disconnect logs user’s search requests. Especially since all of the search queries have to pass through the company’s own servers. Moreover, Disconnect uses Amazon servers to host its online services. The security report from Qualys SSL Labs gives Disconnect an A. Remember that this rating is for Disconnect.me. If the user wants to have an easy and quick way of hiding his/her true identity then Disconnect Search add-on and/or browser extension provides that. All the while, users can search via their favorite online search engine without having to worry about privacy. The only major issue with Disconnect is that it is based in the US. Peekier is probably an option you have never heard of. Probably the newest in the field of no-log search engines. That is also the reason why the internet doesn’t have much information about Peekier as a service. As time passes, more and more people will give their reviews on how good or bad Peekier really is. Then it would become much easier for us to give a general assessment of this search engine. However, we would like to mention here that because of the innovative and attractive way it shows all the search results to users, it had to have a place on our list of best search engines for privacy. If users utilize this service to search then it will display the results in the form of large thumbnails that preview the web pages that search query returned. The search engine field is pretty bland in the sense that almost all online search engines have a similar feel and look. Peekier takes a different approach. And that makes it worthwhile to try out at least. But before we can give a well-researched ruling on Peekier, perhaps it is best for users to keep an eye on Peekier but not use the service for sensitive tasks. After this service develops more, we’ll have a clearer idea of whether it can match the quality of services that, for example, DuckDuckGo offers. We have mentioned four top class privacy-focused search engines. The fifth one may not be the best but it is there because at least it has made the effort of offering a search engine for privacy. Regardless of that fact, all options will enhance the user’s online search privacy. The more crucial point is that these search engines for privacy will likely never record the user’s search queries. They don’t involve themselves in building a profile on the user. And they don’t try to sell people stuff too much of the time. All of the options that we have listed here in this list of best search engines for privacy are pretty easy to use. They also happen to return decent results. The most user-friendly of all the options that we have listed here is without a doubt DuckDuckGo. DuckDuckGo is the perfect search engine for people who want to transition away from mainstream search engines such as Google but want to do so slowly. But what about the likes of the NSA and other forms of government surveillance? More specifically, will these services protect their users from spying activities? Well, the answer isn’t a simple one. The search engines which are run by companies that are based in the United States may have a hard time providing such services. So it is safe to assume that they would not do anything against surveillance programs. Of course, users who only want to protect their privacy and don’t want to engage in something that is illegal, don’t have to worry about such issues. Our second recommendation was StartPage.com. This is a search engine that isn’t based in the US. Moreover, independent researchers have audited this search engine. It enables users to have access to websites without compromising privacy. And all of that is because of its official proxy feature. Privacy heads will have better peace of mind with Startpage.com than DuckDuckGo. Or to be more precise SearX public instances. No one is going to bother monitoring them because they are not as high profile as some of the other options that we have mentioned in our list of best search engines for privacy. But of course, no one can guarantee that the user’s data won’t get logged while using SearX instances. The only problem is that users will not get to know the operators of any given public SearX instance. For such users, perhaps running a self-hosted SearX instance may present the best option. Under such an arrangement, the user himself/herself is directly controlling the hardware. And that allows the user to have a setup that is extremely private and secure. For maximum privacy, the only recommendation that we would like to put forward is a self-hosted SearX instance. But remember, this is only for the privacy fanatics. Then there is the fact that SearX is able to return those on-the-button results coming from all the good mainstream search engines. It also has a great interface. Both these features put the icing on the cake as far as SearX is concerned. Recently the CEO of DuckDuckGo, Gabriel Weinberg came out and said that he believed that DuckDuckGo represented the most private and secure search engine after a search engine that the user self-hosts. Weinberg also mentioned that users who have concerns about DuckDuckGo being a company based in the United States and having strong relations with the likes of Yahoo were, for the most part, exaggerating things. According to the CEO, DuckDuckGo did not keep any logs. And that meant no one could use a subpoena to force DuckDuckGo to release user information. Because DuckDuckGo doesn’t have any. Hence, it makes no difference with which companies DuckDuckGo strikes a partnership. There is no information about any DuckDuckGo user or his/her search queries. The CEO also mentioned that US citizens now enjoyed many legal protections against all types of government spying activities. And some of these were not available to companies based in other countries. Moreover, he also mentioned that DuckDuckGo operated via servers that were located outside the US. So users who reside outside the US and use DuckDuckGo will never have to worry about being connected to a server that is based in the US. Do we believe the CEO? Well, we would say that any company that is based in the United States is a company that one has to keep an eye on as far as privacy is concerned. We won’t discuss much about this issue in his guide but in the future, we will definitely discuss how a company that operates out of the United States affects user privacy. I know that of Duckduckgo search engine. I often use this search engine.it’s really good but don’t know about this type of search like this SearX and StartPage (Or lxquick), Final Thoughts On SearX but after I used this it’s like good. It’s good informative.